With Christmas rapidly approaching stores are brimming with potential presents anticipating the post-Thanksgiving throngs rushing to buy the right gift for the right person. Gifts are the currency of the holidays. Given in the right spirit, gifts are important symbols expressing our love and affection for family and friends. Being on the outside looking in during this joyous time of year can be disheartening and debilitating. So in the same right spirit, donations are collected to share our abundance with neighbors less fortunate, unable to afford the right gift at the right price. It's a generous and caring tradition we encourage and rightly applaud every year. However, many parents desperate to buy their children presents, but unable to do so, swallow their pride to accept handouts. Ultimate parental embarrassment often occurs in front of their children when well-intentioned gift-bearing volunteers arrive at their door on charity visits. So what to do? Add one more gift to your list, the gift of dignity. Give parents-in-need the opportunity to buy their gifts. It can be done. It has been done. Hartford City Mission's Christmas Store proves it. For five years running, now entering it sixth season, Hartford City Mission (HCM), serving north Hartford, CT's neighborhoods, has succeeded in bringing Christmastime joy and dignity to the many families it serves through its after school and summer youth programs. As described on its website, HCM Christmas Store is a "special store where parents can buy new gifts for their children at tag sale prices. This gives the parents the dignity of purchasing gifts for their children ... and allows them to raise money to help the mission subsidize the cost they have to pay to send their kids to sleepover camp in the summer." In 2016 the store had more than 2,300 gifts in stock, and raised over $2,500 for sleepover camp. Its success has grown year after year "typically providing eighty families access to buy presents directly in their community, which has the added benefit of avoiding budget-stressing travel costs," explains HCM Executive Director David Ambrose. Last year the store sold nearly 700 gifts, a number that has increased significantly over the years. "Parents regularly volunteer at the store, and for those who still find the cost of buying gifts a strain, they may earn store credit through their volunteer work," Ambrose points out. As beneficial as the ability for parents to purchase affordable presents is, the ability to make connections is equally as important. The Christmas Store's welcoming atmosphere allows families to connect directly with their children's participation in HCM's programs, and parents with each other. 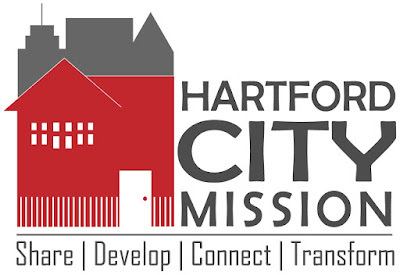 "Through the store Hartford City Mission engages parents to foster a fuller connection to HCM's work, as well as connect and collaborate with other parents," emphasizes Ambrose. These connections build important relationships. They help everyone - parents, children and HCM - "communicate better and support each other, ultimately leading to a better understanding of community issues and needs, and potential solutions." The Christmas Store's spirit is positive and vibrant. Long-time HCM volunteer, and now HCM's administrative assistant, Danielle Ambrose captures that spirit in her article The Christmas Store's "Gift" to Parents printed below. It was featured in HCM's Winter 2017 Newsletter. "The doors open, and a maze welcomes you. The walls are not made of brick, concrete, or anything cold. The sides of the maze calling to you are tables piled high with toys. On your right you see action figures and battery operated trucks. On your left you glimpse countless bright pink and purple boxes of brand new shiny dolls waiting for a home. Straight ahead you see tall stacks of board games. And, out of the corner of your eye you see a whole table of art supplies spilling over, ready to be used. Basketballs, footballs, and soccer balls fill another table. Then you turn around to see a tower of colorful stuffed animals. And oh my, have you ever seen so many Legos? A smiling face comes alongside you, welcoming you, and encouraging you to look around and take your time picking out what you need. Smelling something sweet draws you to keep going, as the scent of hot chocolate entices you. The sounds of laughter, happiness, and Christmas music accompany you all the way through to the end. What kind of dream is this? Not one that you need to wake up from! The HCM Christmas store recently finished its [5th] season of serving our Noah and Nehemiah After School (NAS) parents, neighbors, and friends. We thank all of you who donated for your generosity in giving over 2,000 gifts, and for the time that many of you spent setting up the store, pricing, organizing, wrapping presents, and most of all being a friendly face to our HCM family. It was because of your giving spirit, that we were able to offer parents the gift of dignity, as they came into the room full of presents, holiday cheer, and welcoming volunteers. For many parents Christmas can be a discouraging time as they desire, but cannot afford to give their children something special, or surprise them with presents they are hoping for. Parents shopping at our Christmas store did not have to feel that disappointment. They came to the HCM Christmas store and watched their money stretch as the gifts were marked down below half price, many at tag sale prices! The gift of dignity is integral to the programs and services of many worthy organizations, too numerous to name, that focus on providing access to food, shelter, clothing, jobs, health care, education, etc. Their efforts must and should be supported. We must answer their calls to help them do more, individually and collectively. Hartford City Mission's Christmas Store provides a successful practical example of what can be done. Let's give the gift of dignity this year, every year, every day, however we are able, to everyone everywhere. Dignity builds bridges of understanding, opportunity, and hope that bind people and communities one to each other. If you would like to donate to HCM's Christmas Store, you may call Danielle Ambrose at Hartford City Mission at 860-246-0132. To learn more about Hartford City Mission, take a few minutes to view the HCM video at this link. 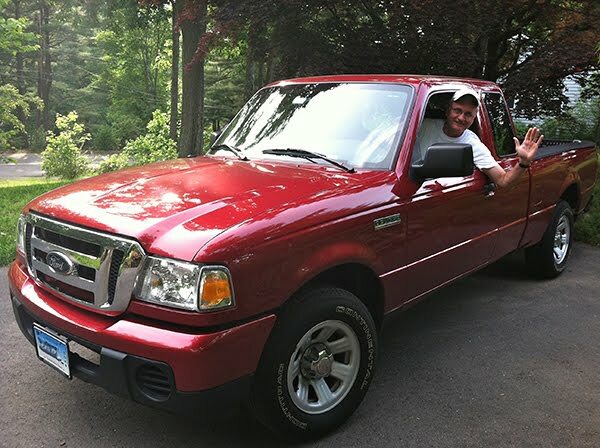 This post also was published in CT Viewpoints on December 12, 2017.